Includes:Over 70 crystals and their physical, spiritual and emotional healing powersA guide to selecting, cleansing and caring for your crystalsCrystal meditation techniques An introduction to the chakrasGorgeous lifestyle photography. This is a beautiful book. It has some amazing pictures all the way through it. The advice given is easy to understand and well written. You can easily go to the chapters that are personal to you. Even tells you how to care for your crystals. Many people are using crystal therapy and I love them. The effect they have on you and your household is amazing. 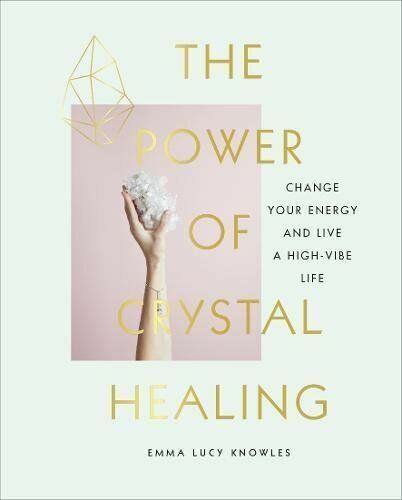 I have already purchased some extra crystals to compliment the ones I already have since reading this book. My rule is to always respect for your crystals. I will be keeping this beautiful book. Thanks! Excellent and informative. Really good value.